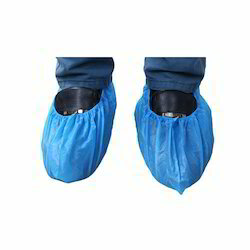 Pioneers in the industry, we offer sticky mat, face mask, cleanroom swab, antistatic shoes cover, non woven shoes cover and sticky roller from India. Size 24" x 36" , 26" x 45" , 36" x 36" etc. A layer of this mat is about 30 sheets, each sheet is made specially for keep the dust under of clean shoes. 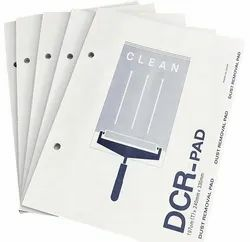 This mat is often put in front of airshower, clean room door or even inside clean room. 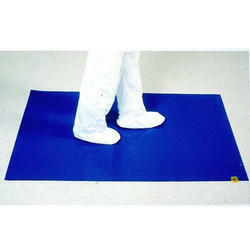 When workers work in clean room, they will walk on this mat, it will take your clean room very clean. 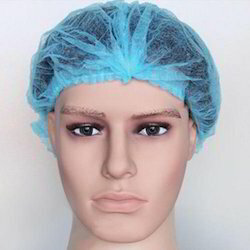 Ear Loop Masks are made of soft,non-woven polypropylene. The 3 -ply pleated design offers 0.05 micron filtration at greater than 99%. A full length flat aluminum wire forms comfortably to the nose and face to maintain an excellent fit for maximum filtration. Masks are fluid resistant and disposable. The Ear Loop Mask fits snugly around the ears with elastic loops. 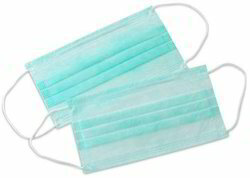 Tie-On Masks are secured with two pair of polypropylene ties. The large head cleaning swab can clean large areas effectively and gently and is durable. The small rounded and the pointed head swabs will allow you to clean between tightly packed SMD components of flux residues easily and effectively. 2. Use sewing or automatic technology,comfortable wearing. 5. Size: 38*15cm,40*15cm,40*17cm or as your design. 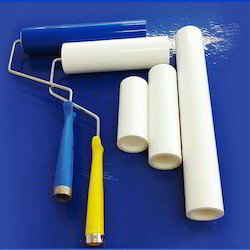 The standard core diameter sizes are designed to allow effectively clean wide or narrow areas with less frequent sheet disposal. It comes with extension handles to clean the high walls and ceilings and hard to reach corners. 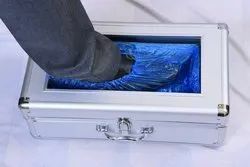 Designed in easily cut tape shape, easily replace by finding the perforated edge and just tearing it off.Strong dusting abilities are available with and withou a handle. These machines are manufactured using the best quality of raw materials as per the existing industrial norms. These machines are manufactured using the best quality of raw materials and are capable of holding a large number of shoe covers at a given point of time. These machines work without electricity and battery and are highly efficient and reliable. These are used for the quick and easy dispensing of shoe covers. Holds 50 PCS of shoe covers. Works Without electricity and Battery. 99 % Reliable & Efficient. Automatic shoes cover machine and shoes cover are widely used in household,factory,example room, hospital, clean factory workship, automobile exhibition hall, hotel, laboratory, computer room, museum, place for taking off your shoes and cleaning requirement,etc. We are offering Non-Woven Headgear to our clients. The automatically integrated production line, a machine can be a finished product, ultrasonic welding, two straps attached to the cap on both sides of the body, use can be easily opened, raw materials, high utilization rate. 3.Optoelectronic detection device, more accurate position calculates. 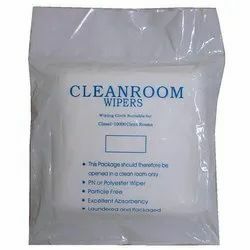 Size 3" x 3"4" x 4" 6" x 6" 9" x 9" 12" x 12"
Cleanroom laundered and packaged as double bag in ISO Class 4. It is ideal for critical environment application. Sealed edges to reduce particles and fiber generation, Low in both Particles and Extractables. 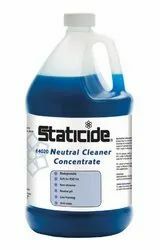 High tensile strength to eliminate tearing and snagging in tough cleaning applications. 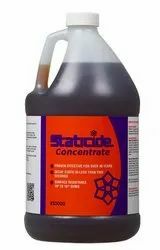 Non-abrasive texture, cleans surfaces without scratching. Cleaning and Polishing Stainless Steel Surface. 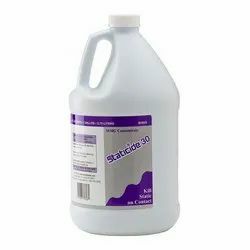 Superior for spill control and general wiping in ISO Class 5 & 6 Cleanroom Facilities. 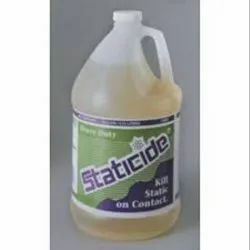 Ideal for general purpose cleaning and wiping surfaces of products. Size: 3" x 3" , 4" x 4" , 6" x 6" , 9" x 9" , 12" x 12"
Lasts from weeks to months depending on application. Damage potential to sensitive electronic components and subassemblies during manufacture, testing, packaging, shipping, and receiving. Data errors, paper jams, and other glitches in office machines • Jamming or slipping of paper, plastics, and other materials during printing, packaging, and converting. Ignition of combustible vapors, dust, and solvents, causing fire or explosion. Irregularities caused by static in quality printing, heat sealing, silk screening, lamination, and other special applications. 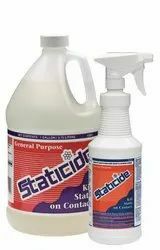 Static discharge on workbenches and production surfaces. Can be used as an indoor shoe cover protecting carpeting and floors from the outside. Resists water, dirt and mud. Elasticated top for secure fit, one size fits all. Pack of 100 pcs (50 pairs). 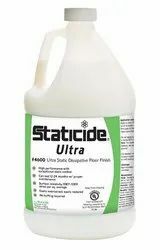 Suitable for use on concrete, ESD tile, painted floors, metal, glass, porcelain, and woodwork. 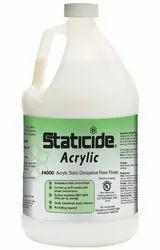 Apply as a spray, wipe, dip, gravure, transfer roller coating, or flexographic printing.